Generating organic traffic is hard! Every type of blogger (from crazy about cats to fashionista to Etsy extraordinaire) knows the struggle of attempting to effectively implement DIY SEO. Search engine optimization is only meant for ultra tech-savvy people, right? WRONG! The truth is, there are several simple DIY SEO practices you can tackle today. Listen, we get it, it’s extremely frustrating when you don’t see instant results. Dissecting Google algorithms is a lesson in futility. SEO is tough! But don’t shy away from SEO because it’s “scary” or you’re fed up, here are 5 painless DIY SEO ideas for bloggers (that’s you!) to implement today! 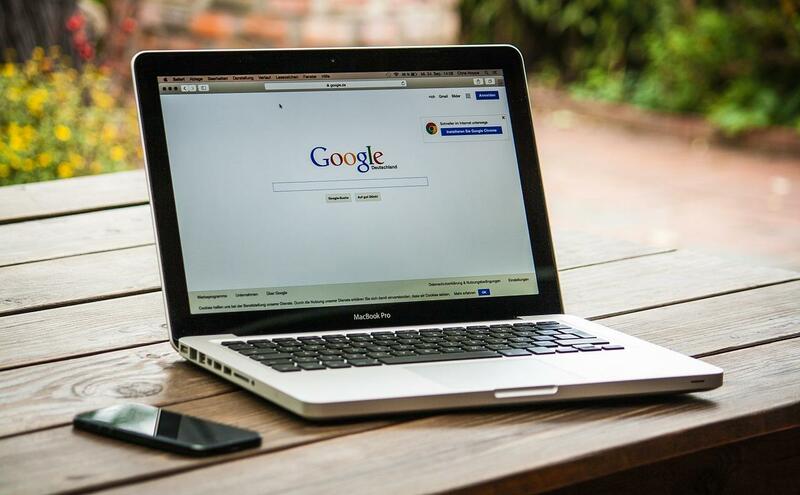 Before we dive in, let’s address SEO, or “search engine optimization.” Simply put: SEO is a way to help your readers find your content online. 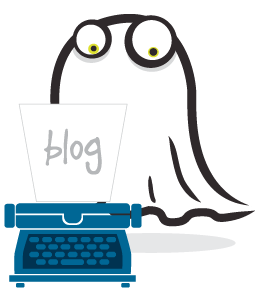 At Posts by Ghost, we believe the secret to writing web content that works (and gets organic traffic) is to use strategic optimization throughout every well-written post. These DIY SEO ideas are a great place for beginners to improve and maintain the overall health of their content. There’s a crazy misconception that to achieve optimization greatness, you must be a technology genius or coding master. But the truth is, if you have a computer, a passion for blogging, and the willingness to learn how search engines operate, you can become the next DIY SEO wunderkind in no time! Does what I wrote about appeal to the target audience for my site? Are people interested in this topic and actively searching for it? Is my target keyword a solid choice that adds value to my content? You know the old saying “work smarter not harder?” Well, it’s officially time to stop running yourself ragged creating new, average content every day! Yep, that’s right—you don’t need to post constantly, especially if you’ve already amassed a big collection of posts needing attention. One of the biggest mistakes longtime bloggers make is ignoring their not-so-great, earlier content and focusing only on creating more and more new posts. Here’s the deal: Too much old, unoptimized content drags down the quality of your site and impacts your site traffic. Search engines favor expertise. It’s about quality, not quantity. But don’t run out and delete all those old (embarrassing) posts. First, consider repurposing them and buffing them up. How can you improve that yummy recipe post from 5 years ago? Is there multimedia you could add to your older posts? Can you update the copy and incorporate your keyword more strategically? Could you narrow down the focus of the post to one great topic (instead of three)? Effective DIY SEO strategy includes using that older, popular-but-not-so-pretty content with a little facelift (or maybe just some wrinkle cream). Only publish new content that serves a specific purpose. At the end of the day, and in the simplest terms, your post should answer a readers’ question. Think like a searcher. What does your reader want to know? Is it how to create a craft? A great cookie recipe? The process for a task? (Hint: Many great posts start with “How to,” or “5 Ways to,” because it’s the natural answer to a question). Is there a topic trending with your target audience that you can jump in on? Check your comment section and pay attention to the engagement happening on social media. Have your readers asked you to write more on a specific area? No matter what the circumstances, every piece of content published should be strategically optimized to answer your readers’ queries. Consistency is the other very important part of writing content with a purpose. While you don’t need to burn out by posting every day, consistency in your posts is rewarded in search. Search engines, like Google, appreciate consistent progress over time. This means regularly producing and updating great content. Your audience is probably overwhelmed by the amount of content available online. Your goal isn’t to simply add to the noise. Your goal is to create content that stands out from the crowd. Consistency and purpose when writing new content for your blog are key as you plan for future posts. Keywords are an important part of DIY SEO. Use targeted keyword phrases aimed to answer your readers’ search queries. Keyword phrases should occur naturally throughout your posts, provided your posts are always crafted around a single purpose. So, how in the world do you figure out what your reader is searching for? It’s not as hard as you may think! There are many great free and inexpensive keyword search tools out there. An expensive subscription service isn’t necessary and may result in frustration and overload. Instead, go simple. The first way to find a good keyword is to “Google” what you plan to write about. Look at the suggestions at the bottom of the page and browse the related posts to get ideas (you don’t want to copy someone else’s post, of course, but you can start an excellent brainstorming session this way). Google Trends is a free resource which lets you search any term to see trends in search and popularity over the past calendar year. More established sites like KWFinder allow any user two free searches a day, so if you have a topic in mind, it’s a very helpful tool. The KWFinder subscription is also quite affordable. Moz’s Keyword Explorer is another very useful tool. Moz users are allowed 10 free searches per month using the advanced software and they offer a 30-day free trial for their premium service. It’s true that amazing content is vital, but a crucial part of successful DIY SEO is ensuring all “back-end” stuff of your website is in order. What the heck do we mean by back-end? Does your site need to do more squats at the gym? And yes, like booty day at the gym, if you ignore it for too long, things are going to start to get a little well…less-than-optimal. If the machine (your blog) is going to do what it was created to do (attract traffic) then all the parts (back-end components) must operate correctly. Make sense? Here’s the good news—even if the tech side is scary: DIY SEO tips like this one are easy because the steps are straightforward and there are no tricks. Much like those squats, they’re tough at first but if you stick with it, you’ll see the results and be rewarded with positive attention (in this case from search engines). 5. Sign Up for an SEO Audit Today! Did all that back-end talk totally confuse you or stress you out? Do you feel like you need to go to the gym? NO WORRIES! We’re here to help! An SEO site audit conducted by Posts by Ghost will help guide you through the DIY SEO process. All those items (1-4) above? We’ll tackle them as part of your audit and help you with a strategic plan as you move forward. Think of your SEO audit as the map to help you discover your current state of internet popularity. 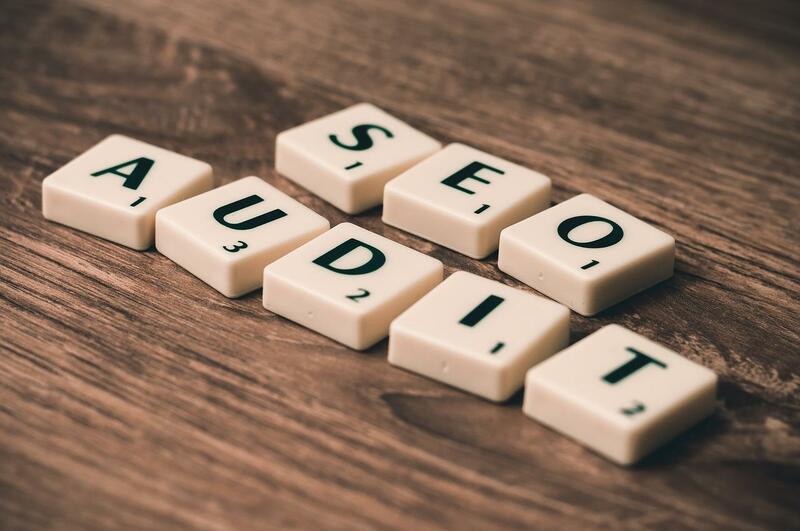 Your SEO audit tells you how your site is performing and most importantly, how the technical side of your blog is operating. We’ll pinpoint any issues to address and provide clear recommendations for improvement. Whether you’re a blogger, a business owner, or a person with a rad website and a dream, we’ll help you find your way! DIY SEO is totally doable from the comfort of your own home. You don’t need to be a tech expert or an Internet genius. 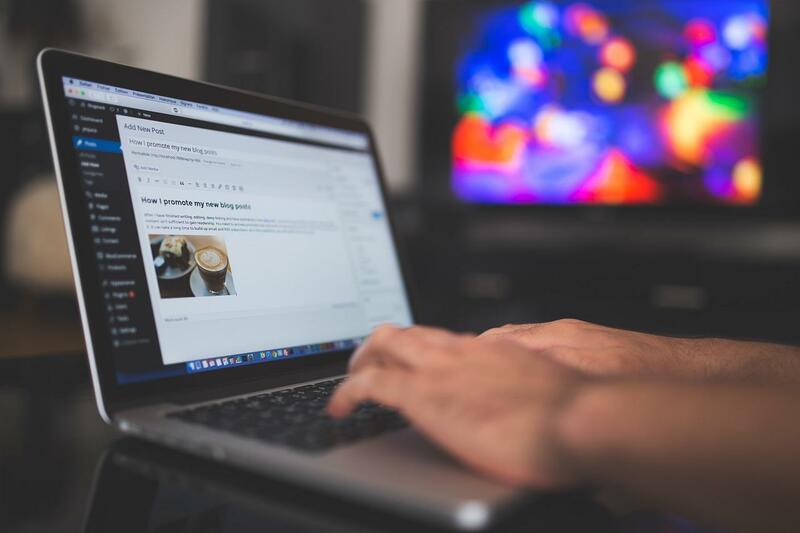 If you’re ready to get your blog in shape, schedule your personalized SEO audit with us today and we’ll walk you through the rest. Featured image and all posts images licensed for use via Pixabay.